The station is one of 12 MPK sites recently unveiled under the Essar marque, following an agreement reached in November with the top independent garage group. 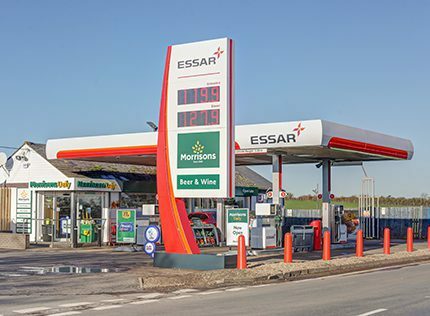 Essar entered the UK retail market with the opening of its first branded forecourt in November 2015 at Coalville in Leicestershire, and now has a network of 67 sites. “This is another milestone in the development of Essar’s UK retail network,” said Ramsay Macdonald, head of retail at Essar. “Morrisons Daily operates across the UK, offering a wide range of fresh food and grocery items to our customers,” said Wayne Harrand, head of retail, MPK Garages.